Relive English football's greatest moment with this superb photo montage capturing memories of the 1966 World Cup final. The montage features 5 photos from that great day. 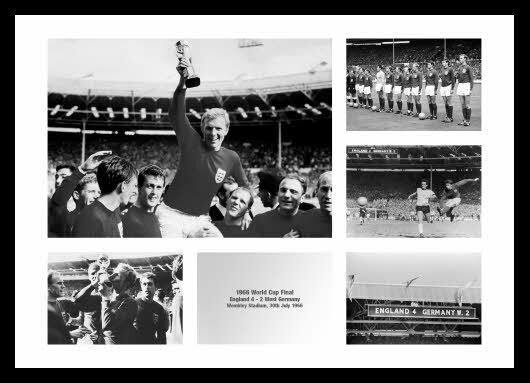 The main photo features Bobby Moore and the team with the trophy and this photo is surrounded by other memorable photos including Geoff Hursts winning goal.